Kako su srbi u bosni koji su oslobodjeni posle Makedonije, dakle 1918 imali svest da su srbi. Па неки Срби у Босни и Херцеговини су заиста имали свест да су Срби, а неки и нису, ови самозвани Турци/хрватско цвијеће/муслимани/Муслимани/Бошњаци, као и Хрвати. Што није ни чудно гледе тога да је БиХ кроз цели 19ти и у 20ом веку била у суседству 2 српске државе - Србије и Црне Горе а да је Македонија све до 1878 била једна од истих прилично удаљена област. С друге стране у "најсрпскијој" области од свих српских земаља, где се говори "најчистији српски језик" - 'Ерцеговини се не зна је ли било више "Турака" или "Латина". Re: Makedonija - srpska zemlja ? Својевремено их је било 100%, па сад ти види како. Исти проценат их је остао у Босни, колико се и просечан Македонца осећа Србином. There are numerous documents that provide various information about the Greek aspirations toward the region of Macedonia. A question that keeps reappearing is when those aspirations began and how large a territory they encompassed. Early statements of representatives of the Greek political and intellectual elite show that during the time the Greek state was in its infancy, Macedonia was not a political priority. 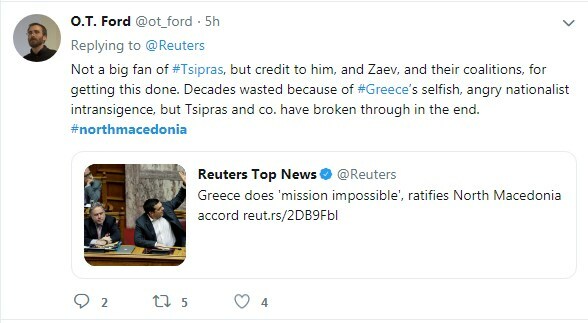 Greek opinions on Ancient Macedonia and Macedonian kings replicate this impeccably. We follow the presentation of ancient Macedonians from ‘barbarians’ and ‘enslavers’ in the 1830s, to ‘Hellenes’ and ‘saviors of Hellenism’ in the 1850s, showing that ancient Macedonians, proclaimed to be Greeks by the means of a textbook, became a focal point of Greek historiography for reasons that were closer to Realpolitik than to scholarly and scientific truth. Bugari. Ovi Skopljaci i sjever Srbi. Postali nacija 1945. То кад су Македонци постали нација је сасвим небитно за питање порекла. Нација је као појава само облик политичког организовања народа или становништва око одређеног принципа или идеологије. 2. у самој Бугарској има веома мало остатака Аспарухових Татара који су створили Бугарски канат 681 после Христа, углавном живе на североистоку и сматрају себе Турцима. Они који су међу њима православни живе претежно у Молдавији (Гагаузија), Украјини (Буџак) и Румунији (Добруџа). Порекло Македонца је јасно,то су Бугари. Интересатно је да имаш исто име и аватар као један члан са македонског форума. Колико вас плачају? Не верујем да ниси повезан са те ликове на нашем форуму, ал нек ти буде. Шта више негатора вас има то сте одвратнији меџу нашем народом. А продужите ли тако лесно чете стичи до вашог Татарстана, ал вреди истичи да вас има свугде осим у Грчку! Шта ваша влада не дели бугарска државјанства у беломорју и не тврди да сте ви јадни угнечени тамо као шта сте у РМ? Није ли Солун ваш, зар све су ,,бугаре,, тамо побијене? Ако је тако пишите петицију да су грци геноцидан народ, подржаче вас цели нормалан свет. Или па можда нешто петљате са грцима, а и мало вас страх? То је та бугарска политика, са главном(а можда и једином паролом) ,,да му умре козата на комшијата." Bugari u Hrvatskoj (bugarski:Българи в Хърватия) su jedna od 22 priznate nacionalne manjine Hrvatske. Prema posljednjem popisu stanovništva iz 2011. godine u Hrvatskoj živi 350 Bugarin, od čega najviše u Gradu Zagrebu. Dio Bugara u Hrvatsku je došao početkom 19. stoljeća. Proslavili su se poštenim radom kojim su dali svoj doprinos raznovrsnosti i razvoju hrvatskog vrtlarstva, a Bugare je za taj doprinos pohvalio i Antun Gustav Matoš. Krovna organizacija je Nacionalna zajednica Bugara u RH. Glasilo bugarske zajednice je Rodna riječ. Mkd. ko god da su bili, danas se oni SLOBODNO OPREDELJUJU, sto je OK, i za postivanje. A, tkoga briga sto je bilo pre. Ovi Bug. je smesan sa prisvajanjem, jer je to KONTRAPRODUKTIVNO. MISIONARE Bugarasi, zeleci da povecaju teritoriju i puk, a i ovo malo im se RAZBEZA po EU. - The area of Cheimarra (Himarë) provided the bulk of the manpower for the Reggimento Cimarrioto and a major component of the Reggimento Real Macedone. Like Mani, Montenegro, and Souli, Cheimarra was one of those Balkan regions whose inhabitants were able to maintain their self-rule by virtue of their tribal or clan organization, the inaccessibility of their mountainous homelands, their proximity to Venetian controlled areas, and the prowess of their arms. - In the eighty odd years during which Naples employed light infantry from the Balkans, the troops of the regiment and its successors were known popularly under three names in addition to the aforementioned camiciotti: the seemingly national names of Greci, Albanesi, and Macedoni. These names did not, however, have their later ethnic connotations but were instead stylized terms that described the soldiers’ general origins or mode of fighting. The term Greci was religious, denoting Orthodox faith ... The term Albanesi was used because that nation had achieved fame for its style of fighting as mercenaries of the Ottoman Empire ... The third epithet, Macedoni, which was used in the title of the regiment, indicated not only inhabitants of the area of Macedonia (as understood in either ancient or modem terms) but also applied to all peoples living in the areas once under the sway of Alexander the Great. This usage in effect made virtually all of the Balkan peninsula, as well as the Near East, a potential recruiting ground for these troops. - Recruitment among the South Slavs caused friction with the Venetian Republic. Venetian authorities maintained intelligence on the recruiting activities of agents and officers from Naples, not only among Venetian subjects in Dalmatia, but also among Montenegrins and other Turkish subjects. They attempted to restrict the Neapolitan recruitment activities in Dalmatia and Montenegro (along with Cheimarra) because these areas were also recruiting grounds for Venetian schiavoni, morlachi, and Cimarrioti troops. 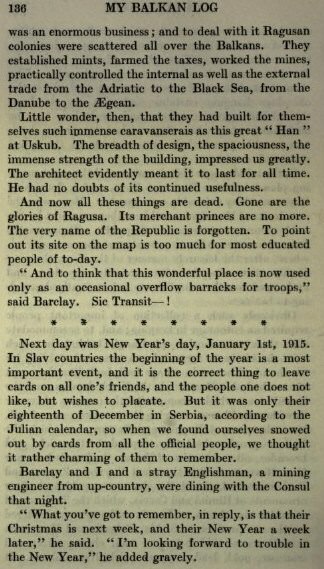 Recruitment of South Slavs for the Macedonian regiment continued nonetheless, particularly among Serbs from Montenegro, Bocca di Cattaro, and Paštrovići. - In the 1760s, a dispute concerning the South Slavic troops arose between the Neapolitan general staff and the commander of the regiment, Georgios Choraphas. The polemic was over whether “Illyrians” (Slavs) could serve in the Reggimento Real Macedone along with “Greeks”. - Cheimarra remained the chief source for the manpower needs of the regiment, over and above other regions, as is evidenced by the great number of officers from notable Cheimarriote families such as: Andrōutses, Dōules, Gkikas, Gkinēs, Kōstas, Lekas, Mēlios, Panos, Vlasēs, and Zachos, as well as other sources listed below. This participation was no doubt due to Cheimarra’s proximity to the Neapolitan state and to the special relations maintained between them over the years. - Since Cheimarra has been part of the disputed border region of Greece and Albania in this century, the question of the nationality of the Cheimarriotes has prompted much discussion. From a linguistic standpoint, the issue is not clear, but there is some trend toward the Greek language. William Leake observed in 1805 that the male population of Cheimarra spoke Greek as well as Albanian, while most women spoke only the latter language. This observation, if correct, would indicate that Hellenization had occurred either as a result of their mercenary service with Greek speakers or through the work of a school that had operated in Cheimarra since the seventeenth century. - A number of scholars, however, maintain that Greek is the autochthonous language of the area, some claiming that the dialect spoken there is akin to the Greek of the southern Peloponnesus or to that of the Greek-speaking villages of Apulia in southern Italy. In an ethnological gazetteer of 1857, a Greek author claimed that both Greek and Albanian were spoken in all of the villages of Cheimarra. An Italian scholar, who visited the area at the turn of this century, observed that five of the seven villages were bilingual and commented that the population, although of “pure Albanian origin,” was of Greek sentiment. During the heated debate on the ratification of the deal to rename Macedonia, Nikos Filis from the Greek ruling SYRIZA party said that when Greece first captured this region in 1912, it was majority ethnic Macedonian and was ethnically cleansed throughout the decades to make it Greek. Filis, who is known for his outspoken views and for poking holes in the Greek nation building myth, was responding to nationalist protesters in front of the Parliament building who were chanting “Macedonia is one and it is Greek”. Macedonia is not one and Greek. There are several Macedonias. The other Macedonia is defined with the Bucharest treaty which bears our, Greek signature. When we hear the chant “Macedonia is one and it is Greek” it is seen as irredentism, as disrespect for the international treaties by our country. Maybe it doesn’t sound too good but it is the truth. 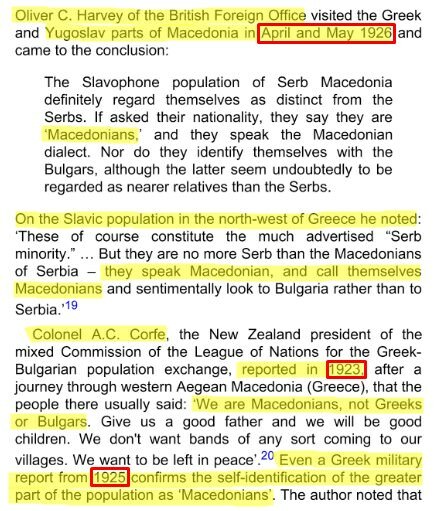 Greek Macedonia is Greek, and let me clarify, it was MADE Greek, because until 1912/1913 and 1921/1922, when the refugees came, there was no Greek majority in Macedonia – only in some regions in the south. So it was made Greek by a population exchange and through all the difficult events we and the other peoples from the region went through. 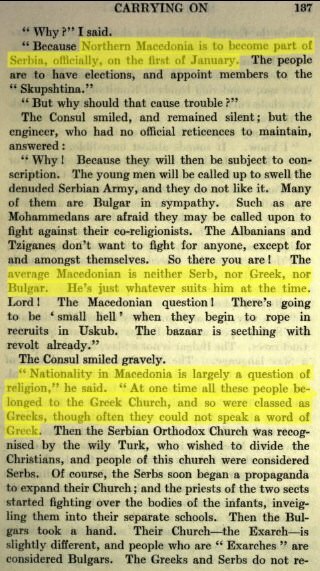 So who are we kidding when we say “Macedonia is one and it is Greek?” Only ourselves, Filis said. Greece captured about a half of the region of Macedonia in 1912, when fighting the Ottomans and kept it through the Second Balkan War in 1913, and many Macedonians were expelled in the process and afterwards. After its defeat to Turkey in 1921, hundreds of thousands of Greek refugees were settled in this part of Macedonia, dramatically changing its ethnic make-up, along with decades of bans on the use of the Macedonian language for the remaining Macedonians. Navrsilo se 91 god. od procesa protiv makedonskih studenata u Skoplju, novembar decembar 1927, I atentata nad prokurura V. Prelica januara 1928g. Advokat I branilac studenata na drugom rocistu u decembru iste godine, A. Pavelic, a u sudskoj sali te 1927g. 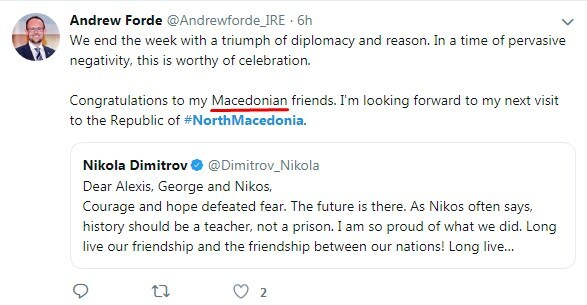 na sugenju makedonskim studentima clanovima mladinske makedonske grupe MMTRO u Skoplju, prisutan bio I Punisa Racic..
By ratifying an agreement with the newly renamed Republic of North Macedonia, Greece has implicitly recognised the existence of a Macedonian language and ethnicity. 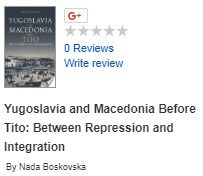 And yet it has denied the existence of its own Macedonian minority for decades, says Maria Margaronis. Will something now change? Mr Fokas, 92, stands straight as a spear in his tan leather brogues and cream blazer, barely leaning on the ebony and ivory cane brought from Romania by his grandfather a century ago. His mind and his memory are as sharp as his outfit. A retired lawyer, Mr Fokas speaks impeccable formal Greek with a distinctive lilt: his mother tongue is Macedonian, a Slavic language related to Bulgarian and spoken in this part of the Balkans for centuries. At his son's modern house in a village in northern Greece, he takes me through the painful history of Greece's unrecognised Slavic-speaking minority. Ова слика говори више од 1000 речи. Од Борова па до Книна све је Српска то Крајина! Од Грахова до Зворника све је Српска Република! Previse je Srbija zrtvovala zbog tzv Makedonaca. Propaganda koja se vrsi protiv srpskog naroda je ozbiljna. Da bog da da ih NIKAD nismo oslobadjali od Turaka, ni njih ni Albaniju. Sa Turcima se barem u 21 veku moze razgovarati. Srpska država ima etnicko uporište od Kosova do južne Dalmacije ( najmanje) . sa centrom u Bosni ili zapadnoj Srbiji, svejedno. Камо среће да Србија није гледала према Македонији и да се 1912 зауставила на Шари. Камо среће да смо снаге потрошене на Македонију усмерили на Босну и Херцеговину. Пашић који је био Цинцарин је усмеравао српску политику према мулти-етничкој Македонији, а не западно од Дрине где је живео српски народ од 3 вере. ПОРЕКЛО АЛБАНАЦА И ШИПТАРА ?? ?